Today is National Running Day. Those that know me know that I hate running. With a vengeance. I hate running, and yet I still do it. My personal feeling is that running is an inefficient way of losing weight, if used alone. Despite my hatred of running though, I still use it as part of my cutting routine and also occasionally compete just to prove I can. And as always, your workout routine is entirely dependent on your goals. They are sadistic, and actually enjoy it for its own sake. They want to lose weight and assume running is the best way to achieve this. They want to become generally fitter and improve cardio-vascular health. Running does have a number of advantages. It provides 25% more calorie burn than walking, and dramatically improves lung function, lowers blood pressure and reduces insulin sensitivity. Psychologically, running has been shown to have a positive effect on brain function and on mood. It has a number of disadvantages though. Running has a high risk of injury, and places a lot of forces of various parts of the body, causing trauma on the leg joints and back and even the kidneys. Running outside also causes increased risk of the effects of sun exposure, as well as the inhalation of exhaust fumes from vehicles. 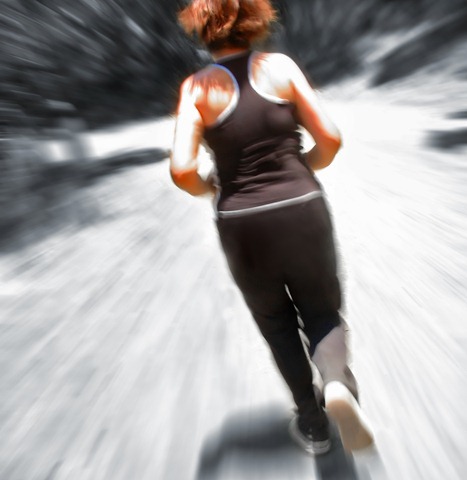 Running has been shown too to reduce muscle mass, which reduces your resting metabolic rate. Running for health and weight loss benefits opens up the argument to steady state against HIIT. I define steady state as running at a consistent rate for a specific period of time. HIIT is defined as running at in increased level of intensity for a short burst followed by running at a maintenance level for another short burst, repeating for a specific period of time. An example of HIIT might be a fast sprint across your yard, followed by a slow jog back, repeating as necessary. It has been shown to burn MUCH MORE body fat than steady state cardio and in less time. It also vastly improves lung function. If you goal is weight or body fat loss I strongly recommend following HIIT principles in your cardio workout. This article lists some hard numbers on why. So is running worth it? Well its really up to you, but my opinion is that it is worth *adding* it to your exercise regime. Using running – or other cardiovascular exercise – in addition to a strength training regiment will optimize your fat loss and improve your fitness levels in a well rounded manner. I continue to believe that strength/resistance training (preferably with free weights/cables/bands/body weight) is the absolute best way to lose weight and get into shape and is the only way to get that cut or toned look. Adding running or another cardiovascular activities (particularly HIIT) can help trim more body fat enhancing your look, while also improving lung capabilities. ← What supplements do I take?